What are the major markets Alertel’s V series works better with? Alertel signal system supports all major financial, commodity and stock markets. To name a few FOREX, CFDs, INDICES, COMEX, NYMEX, LME, MCX, NCDEX along with many others. To use the signal you may require MT4 platform with real time data flow. Plus it supports all stock markets. Please contact us for more details if you do not have the real time data on MT4. I am new to currency trading, is your software suitable for me? Yes. Even if you have just started forex trading, you will find our trading systems easy to use. That’s because all systems come with intuitive easy to understand graphical user interface and are very well documented. Furthermore, our dedicated support team is always here to assist you whenever you need an assistance. What is the minimum deposit needed to use your Trading systems? The required minimum amount depends on the minimum deposit your broker accepts. For the majority of retail brokers it is about 100 USD, while it is about 10-50k for prime brokers. Can I use your forex trading systemstogether with other Forex EAs (Expert Advisors) ? Yes, of course. Every forex expert advisor offered by us identifies its trades by unique order id. Therefore, there will be no conflicts with other EAs or trades you place manually. If not otherwise specified on the product pages the minimum requirements are: 512 MB RAM, Windows OS 2003 or higher, 1.0 GHZ or higher processing speed, 100 MB free disk space, internet connection with at least 100 Kbs transfer rate. Do you offer a warranty for your software? Yes, we offer a 365-day warranty that applies to all regular purchases. For detailed information about the warranty please read out terms and conditions. 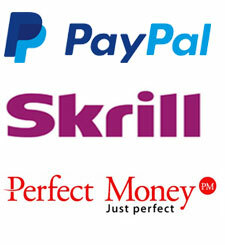 What are the offered payment methods? How do I receive the product? As soon as your payment is processed, you will receive an e-mail from us with download links to the software you purchased including all information to get started immediately. Are there any recurring fees to pay? No, there are no recurring or any other hidden fees to pay till your subscription ends. I ordered but did not receive the download links, what do I have to do? For quality and security purposes, some orders are manually reviewed by our payment processor MyCommerce which can cause delay of order processing of up to three hours. If this time is already passed and you still have not received any order confirmation e-mail from us, please contact our support desk for assistance. Our dedicated support team is here for you whenever you need it. Support is provided through Live Chat, Phone, E-mail, Remote Desktop Connection and our Forum. No, all updates for the version you purchased are free of cost until your subscription period ends. Whenever a new build version is available, a notification will be displayed on your trading chart. You can then choose to install the update or postpone the notification and install the update at a later moment. Can I install your software on a VPS? Yes, of course. You can install our trading software on shared and dedicated VPS servers. Can I use the software with any MetaTrader 4 broker? Yes, you can use our software on all brokers that support trading with the Metatrader 4 trading platform and offer 5 digit price feed. 99% of all MT 4 brokers do. Do you offer a referral/affiliate program? Yes, we offer a forex affiliate program. To learn more about our forex affiliate program, click here.